The Program called “U-Bridge” (You are the Bridge for Unification) is aimed at North Korean university students attending South Korean universities. Through a rigourous selection process, it identifies young North Koreans with various academic and professional backgrounds, who show the potential to become future leaders who will lead policies and programs for North Koreans resettling in South Korea, and further will be able to take active part in the transition of North Korea in case of reunification between South Korea and North Korea. The program thus places great emphasis on studies not only related to economics, politics and systems in transition in general, but also on history, and socio-cultural and psychological adjustment in transition to democracy. Most importantly, it instills in participants an understanding of the value of freedom, democracy and human rights and the importance of dealing with the past in societies where large-scale violations have happened. This year's program selected 6 North Korean students who escaped North Korea within the last 5 years and are now majoring in history, unification studies, law and international relations, engineering, and economics at South Korean universities. The program was co-organized with the Institute of National Remembrance - Commission of Prosecution of Crimes against the Polish Nation, which is a major government institution investigating and prosecuting both Nazi and Communist crimes in Poland between 1917 and the transition to democracy in 1990. 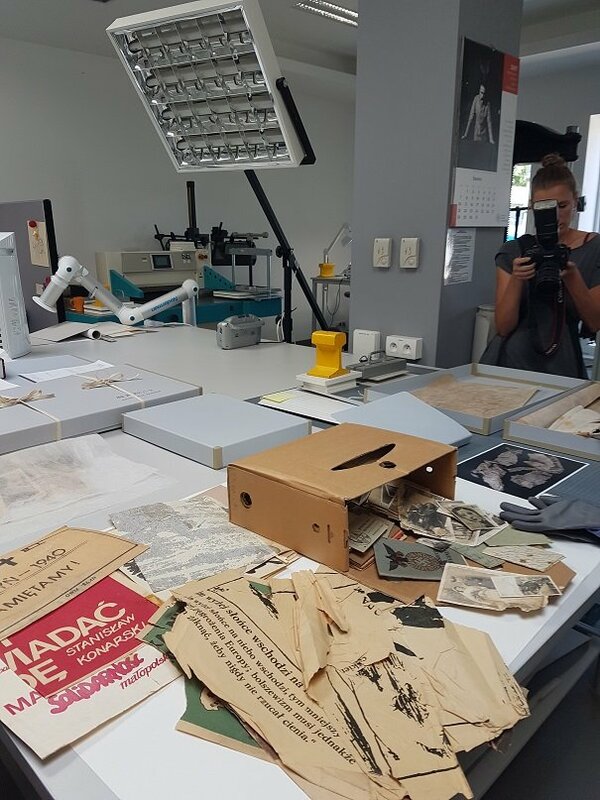 The program involved a few months of preparatory sessions in South Korea, as well as the field experience in Poland where students experienced ongoing exhumations of victims firsthand, access and research to documentation amassed by communist secret police, and various tools used in historical education programs. 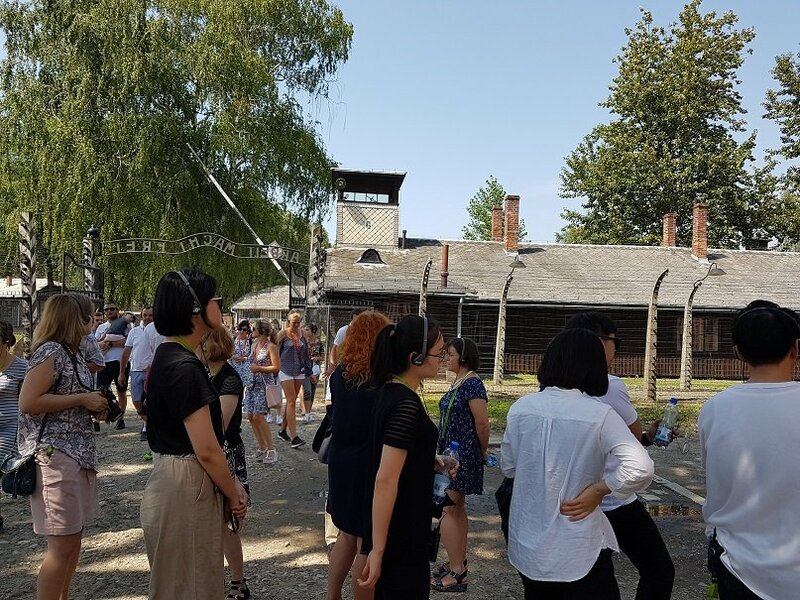 Students also visited various important places related to "memory", such as the German concentration camp Auschwitz-Birkenau, or the museum of Polish Uprising and Katyn Massacre Museum. Despite the difficult subject, the students called the program a "healing experience". Through learning about the Polish transition, students were able to think about the future of the Korean Peninsula. 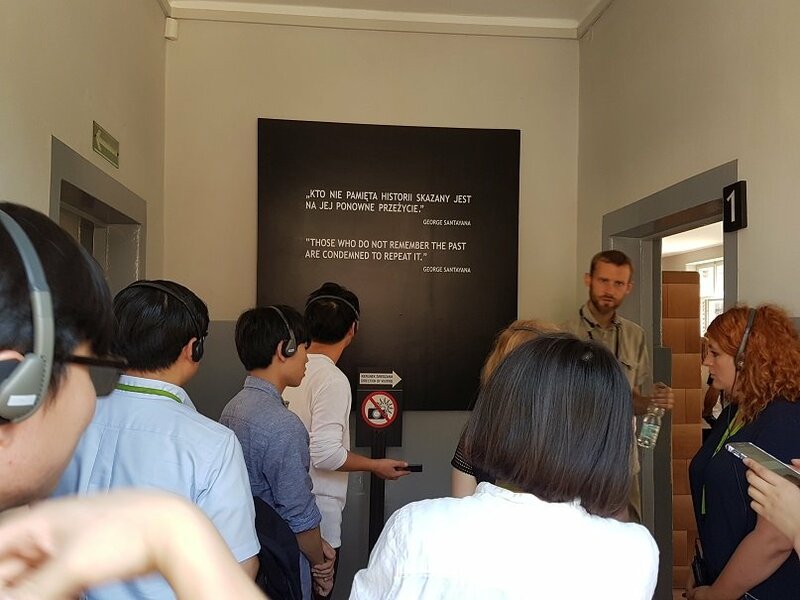 One thing that remained deeply impressed upon the Korean participants was how Polish people try to remember not only the heart-breaking scars, but also the good things that happened throughout Polish history and to use this memory and lessons drawn from it to build a modern, democratic state. In addition, the North Korean students reflected upon their future role after unification of South and North Korea and what should be done in the process of transition. Some students said it gave them motivation to become professionals in their fields, some that they hoped to continue their post-graduate studies in Europe, especially in countries which went through a democratic transition. The students who participated in the program in the past few years continue to meet during monthly meetings of the Leadership Club, where they discuss solutions to current ongoing problems in society.